If your pet is sick and requires treatment, Powers Drive Animal Hospital is here to offer high-quality, full-service veterinarian care. Our team will make sure that your pet is comfortable and feels at home. We are committed to providing gentle and personalized care. At Powers Drive Animal Hospital, our veterinarians specialize in orthopedic surgery, canine ACL surgery, soft tissue surgery, pet dental services, neuter services and much more. Our expert team will not only treat your pets but will also take responsibility in educating you regarding your pet's preventive health care. Your pet's health and well-being are our priority. We ensure a relaxed and calm atmosphere for your pet's treatment. We treat small animals such as dogs, cats, ferrets, rabbits and pocket pets. Our primary aim is to make your furry friends comfortable and happy. 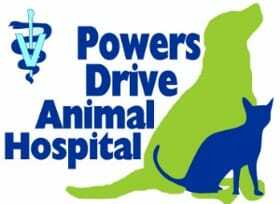 Whether your pet needs a soft tissue surgery or dermatology treatment, Powers Drive Animal Hospital provides it all. Our staff is knowledgeable and friendly. Our prices are competitive. Rely on us for prompt and honest services. Call us today at (407) 917-4308 to learn more. Now Accepting New Patients! Call Us at (407) 917-4308.